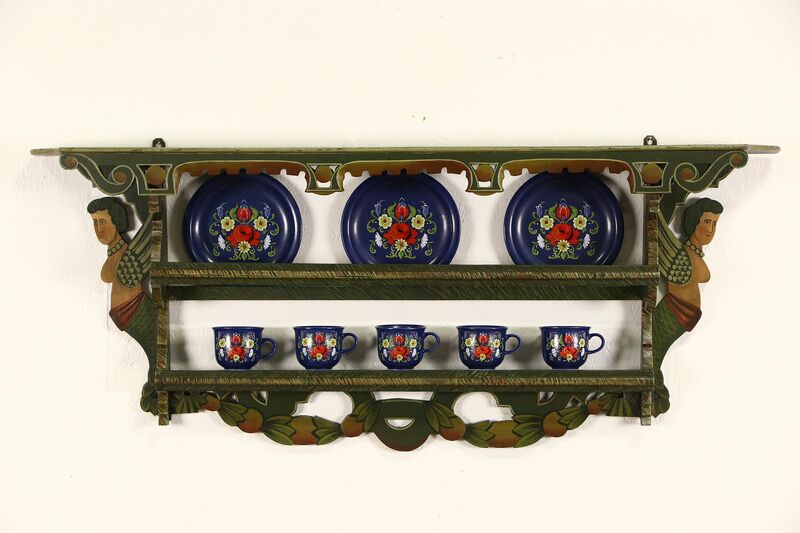 Hand carved and painted in the Tyrol region of the Austrian Alps, this plate rack dates from the early 1900's. The folk artistry is in beautiful condition, with a sort of winged angel mermaid motif. Measurements are 47" wide, 19" tall and 6" deep. Due to the cost of shipping we recommend store pick up, it is over sized for Fed Ex/UPS.